September 21, 2017 – Injaz Holding welcomed its dear clients, partners and friends, as well as representatives from the media, to the very grounds of its latest project: Tilal el Fanar. Over a 1000 guests arrived at 6 p.m. to take their first look at the finished complex whose delivery they had come to celebrate. The light of sunset underlined the idyllic charm of the premises as everyone gathered for a sumptuous dinner, followed by drinks in a warm and cheerful atmosphere. 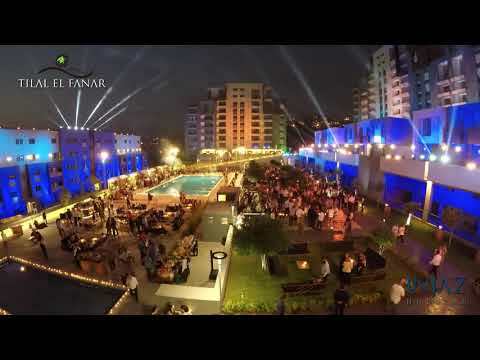 Good music and a lovely view combined to provide an enchanting background to the evening’s festivities, helping to make it an unforgettable event that perfectly illustrates the project’s captivating mood; a window into the Tilal el Fanar lifestyle. It was the perfect way to celebrate the latest addition to the Injaz Holding landscape, inaugurating its grounds with a lively gathering in good company. September 21- 2017- Injaz Holding celebrated along with its dear clients, vip guests, partners and friends as well as representatives from the media the delivery of yet another great project Tilal El Fanar- adding to the 35 years of Injaz Holding’s success track record. More than 1000 guests were welcomed by great music and drinks in a magical set-up overlooking a beautiful sunset. The successful event illustrated the project’s captivating mood around the pool and garden area. It was the perfect way for Injaz holding to celebrate the newest addition to its delivered projects; inaugurating Tilal El Fanar’s residential compound in a unique, festive, cheerful, and unforgettable night.